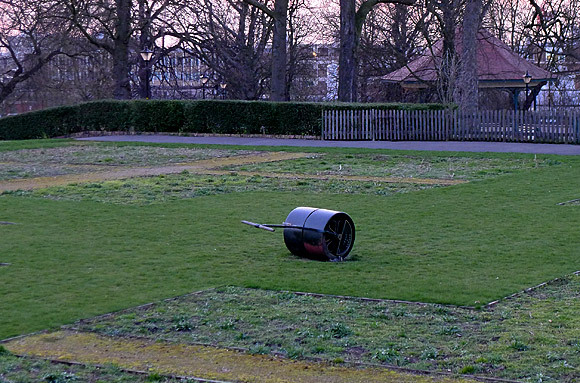 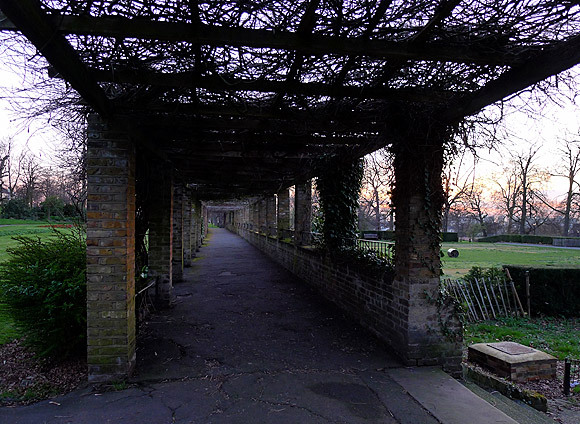 One of south London’s lesser known parks, Ruskin Park is situated between Camberwell, Brixton and Herne Hill (and right next to Denmark Hill station), and I took a lovely stroll through it on my way to the mayhem of the Millwall vs Cardiff City football game. 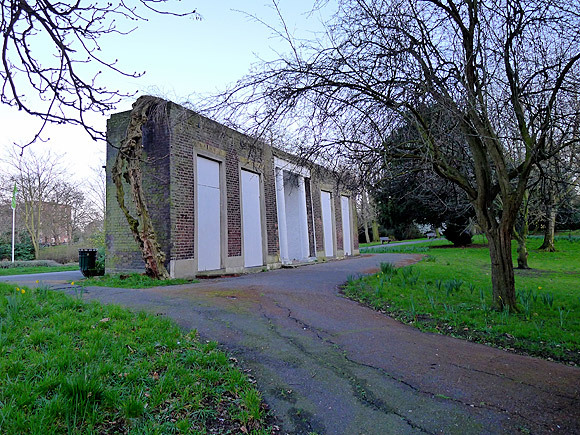 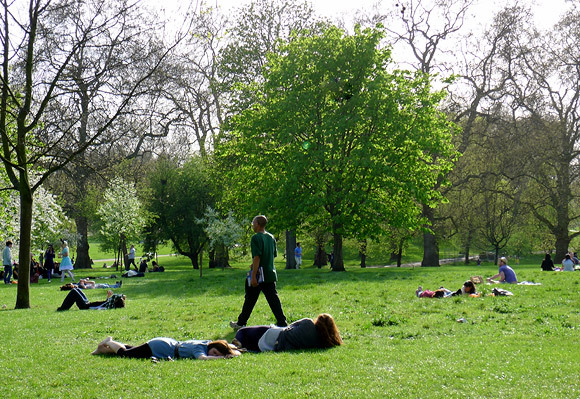 Named after the famous artist, writer and social campaigner, John Ruskin, who lived nearby from 1823 to 1871, the space was laid out by the busy parks designer Col. J.J. Sexby, Parks Superintendent for the London County Council, and officially opened to the public on 2 February 1907. 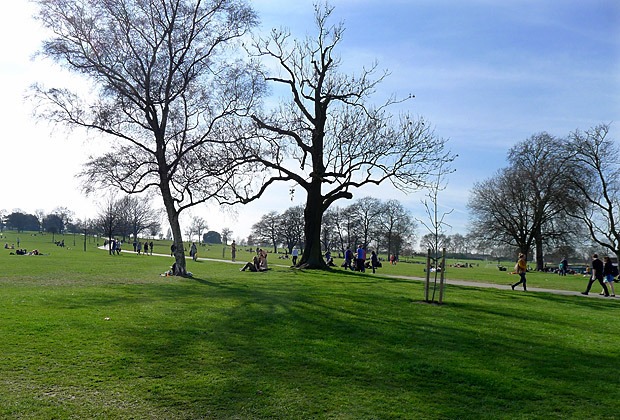 Three years later, the park was enlarged with the addition of 12 acres of land to the south, now used for football and informal exercise. 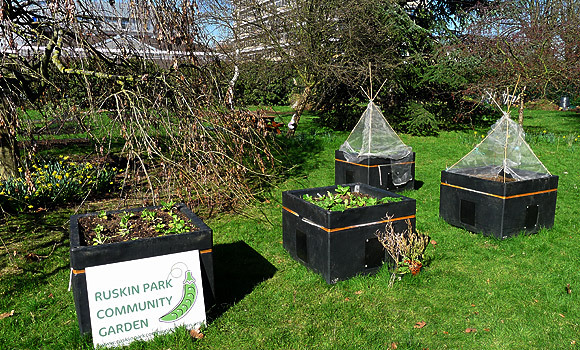 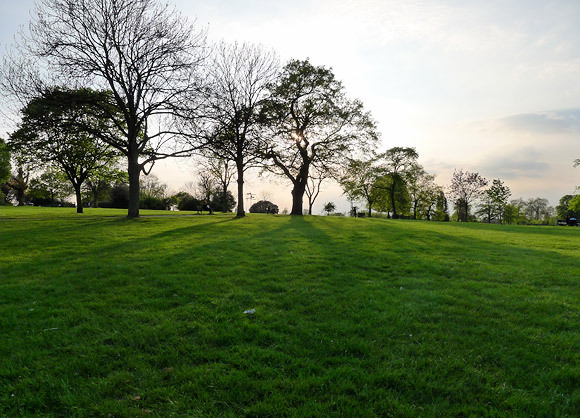 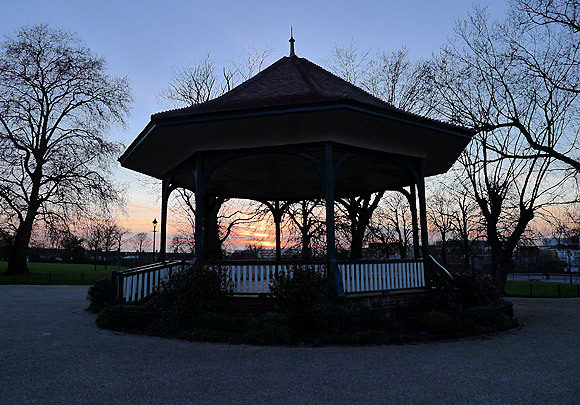 As well as ornamental and wildlife ponds and a diverse collection of ornamental and native trees, Ruskin Park offers locals and visitors a paddling pool, playground, one o’clock club, tennis courts and football pitch. 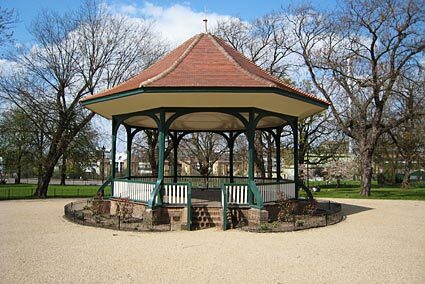 The wooden bandstand in the centre of the park dates from 1911 and enjoyed a major restoration in 2006. 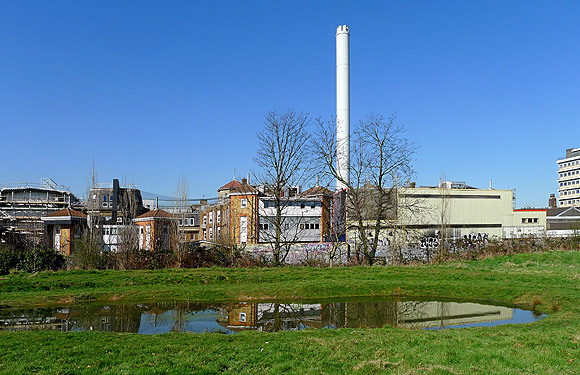 The wildlife pond with King’s College Hospital and Maudsley Hospital in the background. 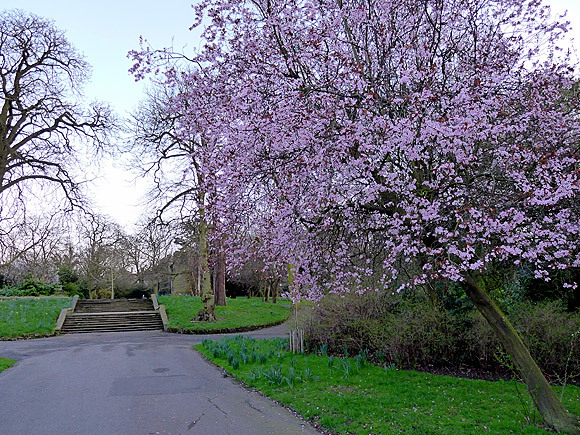 Cherry blossom in the park. 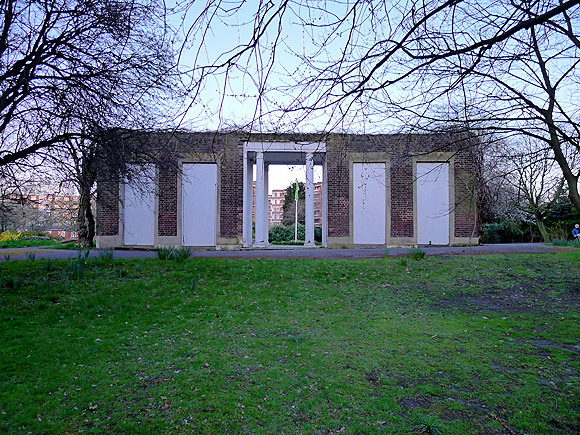 The surviving portico from number 170 Denmark Hill. 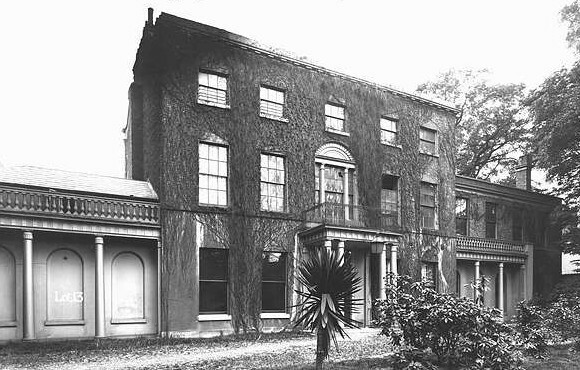 Ink and wash drawing by John Chessell Buckler, dated 1827, showing the view looking east towards the garden front of No.168 Denmark Hill. 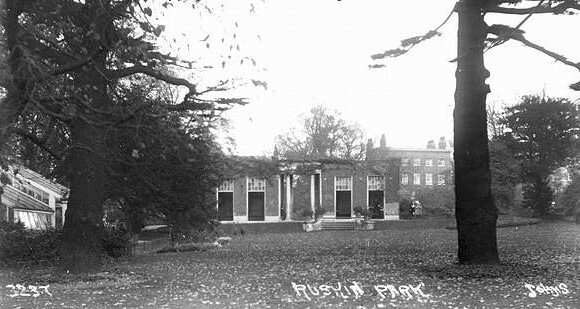 The house was bought in 1906 by the LCC and demolished when Ruskin Park was created. 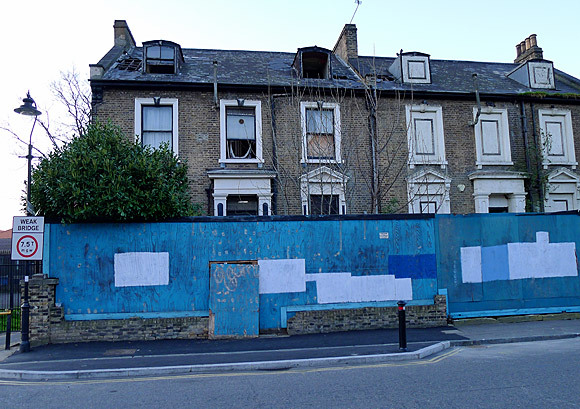 It looks delightful in this early Edwardian view, but the now-extended family home of Samuel Sanders at No.168 Denmark Hill would be demolished just a year later.